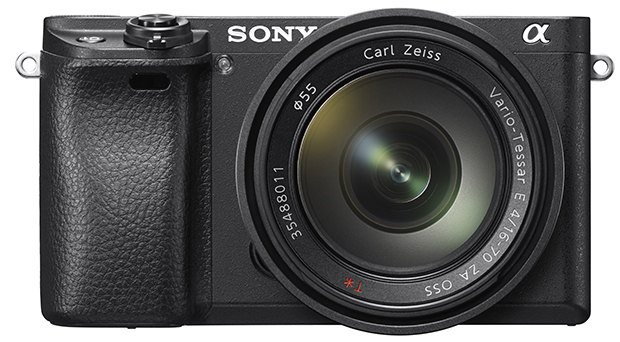 Expanding on its popular mirrorless camera range, Sony has announced its newest model in the Alpha line-up, the α6300, and details of the new flagship G Master lens range. According to Sony, the a6300 camera features the world’s fastest autofocus (AF) and highest number of AF points, a newly developed 24.2 MP APS-C sensor, high resolution 4K video recording and more. The new mirrorless camera features a 4D FOCUS system that can lock focus on a subject in as little as 0.05 seconds, via 425 phase detection AF points – available on the α6300 when using A-mount lenses with a mount adaptor like the Sony LA-EA3. The a6300 can shoot images at up to 11 frames per second with continuous autofocus and exposure tracking. It also supports full live-view continuous shooting on the high-resolution XGA OLED Tru-finder or LCD screen at up to 8 frames per second. The newly developed 24.2 MPiii APS-C sized Exmor CMOS sensor works together with a BIONZ X image processing engine. ISO sensitivity range is 100 – 51200iv. The new α6300 can also shoot and record high resolution 4K video with full pixel readout and no pixel binning in the popular Super 35mm format. Also of note to videographers is S-Log gamma recording as well as Full HD at 120 fps at 100 Mbps. There's also a microphone line input that accepts external microphones and supports XLR input with Sony’s XLR adapter kit. 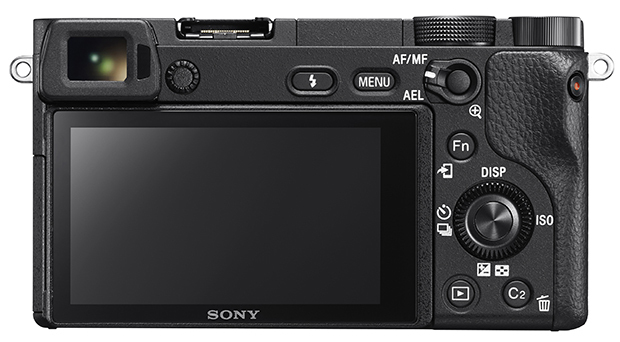 The price of the α6300 (body only) is $1699 and is available in Australia from March 2016. Sony has also introduced its flagship G Master brand of interchangeable lenses which includes three new E-mount full frame lenses; a 24-70mm constant F2.8 standard zoom, an 85mm F1.4 prime and a 70-200mm constant F2.8 telephoto zoom. According to Sony, the new FE 24-70mm F2.8 GM (model SEL2470GM) features three aspherical elements including a newly developed, extremely precise XA (extreme aspherical) element, an ED (Extra-low-Dispersion) glass element, Super ED glass element, 9-bladed aperture, direct drive SSM (Super Sonic wave Motor) focusing system and Sony’s original Nano AR coating to suppress reflections. Price is $3499. The new FE 85mm F1.4 GM telephoto prime lens (model SEL85F14GM) features a new XA (extreme aspherical) element as well as three ED glass elements, circular aperture with 11 blades, a ring drive SSM motor system and Sony’s original Nano AR Coating, to ensure reduced flare and ghosting. Price is $2999. Sony says its new FE 70-200mm F2.8 GM OSS telephoto zoom lens (model SEL70200GM) offers extremely high rendering, AF performance and image stabilisation, advanced lens elements including XA, Super ED and ED glass components, as well as Nano AR coating. 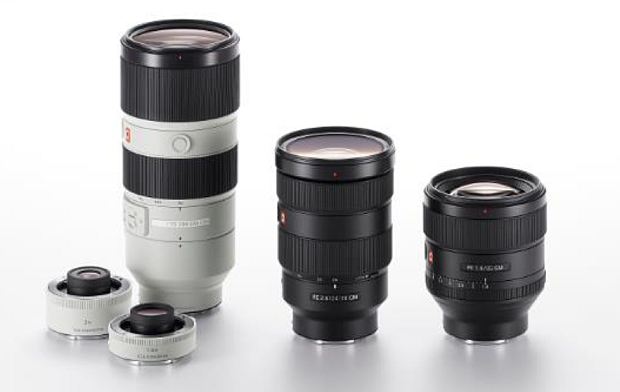 The new FE 70-200mm F2.8 GM OSS lens features a floating focusing system and minimum focusing distance of 0.96m. Sony has also announced new compact 1.4x and 2x Teleconverters – models SEL14TC and SEL20TC respectively. G Master lenses will be available in Australia in March 2016.